United States Department of Energy's updated plan for participation in the joint International Thermonuclear Experimental Reactor (ITER) project with a scheduled initial plasma by 2018 has been favorably reviewed1 by the National Research Council, Plasma Science Committee. Nations participating in this important joint international project include China, European Union, India, Japan, South Korea, Russian, and United States. UPDATED 02/24/2017 SA, Is Fusion Energy in Our Future? Our nation is not investing enough in scientific research, basic or applied. UPDATED 04/24/2012 ScienceDaily, Scientists See Solution to Critical Barrier to Fusion. Electron density as a function of plasma island heat leakage. UPDATED 11/25/2010 WNN, Iter budget on hold again. 1. 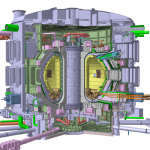 National Academies Press requires an email address input for free download of A Review of the DOE Plan for U.S. Fusion Community Participation in the ITER Program, Committee to Review the U.S. ITER Science Participation Planning Process, Plasma Science Committee, National Research Council. 2. 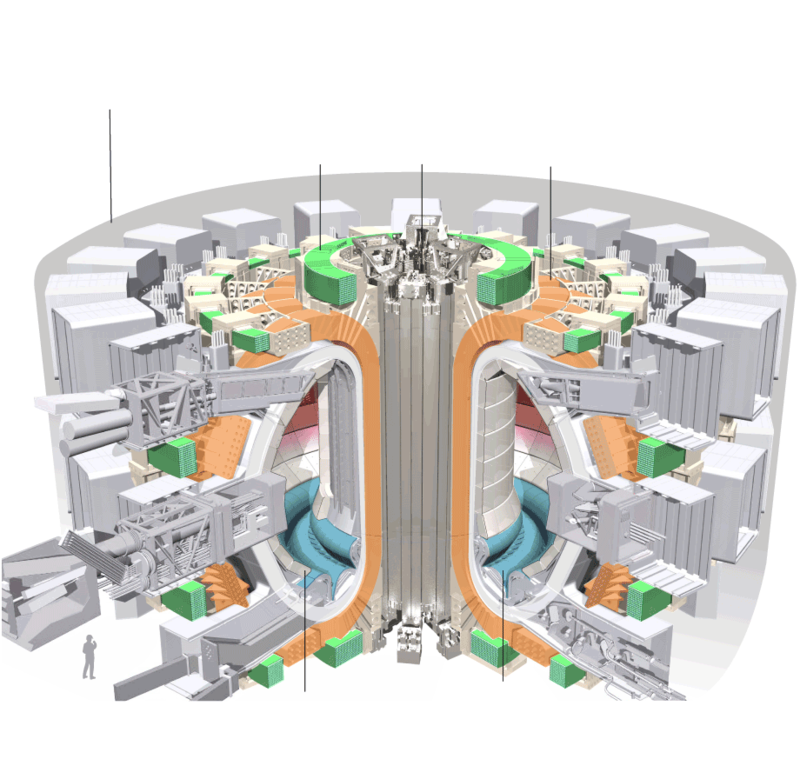 ITER has released a high-resolution (7 Meg) depiction image of the fusion machine or more popularly referred to as a Tokamak (other images are available too). 3. 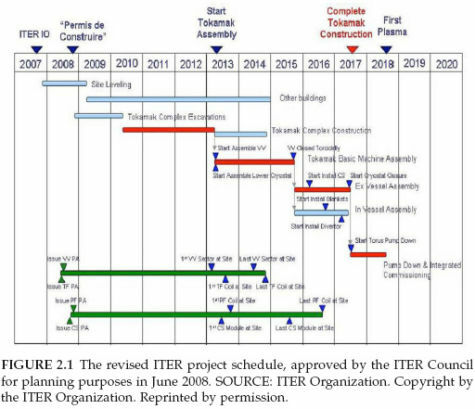 UPDATED 01/28/2009 The overall objective of ITER is to achieve its first plasma in 2018 (was previously 2016) and produce 500 MW of fusion power for hundreds of seconds by 2020. 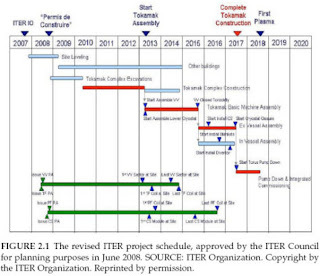 ITER's efficiency estimates remains undetermined. UPDATED 08/14/2009: Total Fusion Power: 500-700 MW; Plasma Major Radius: 6.2 m; Plasma Minor Radius: 2.0 m; Plasma Current: 15 MA; Toroidal Field @ 6.2 m: 5.3 T; Plasma Volume: 837 m; Plasma Surface Area: 678 m.